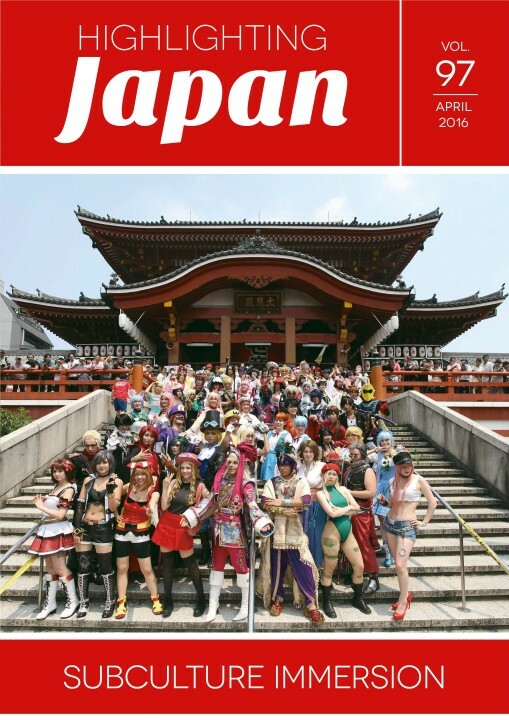 In recent years, Japan's subcultures and otaku culture have been the subjects of intense interest from overseas. We spoke to Tokyo Otaku Mode founder and CEO Tomohide Kamei about their appeal. Comic Market is the world's largest marketplace for doujinshi, or fan comics. Held annually every winter and summer, the event draws over half a million visitors per session, and the international composition of its visitors is a testament to its mass success, as it has already become a social phenomenon. Welcome to the Cosplay Olympics! With over 13 years of history the World Cosplay Summit is a cosplay-based international exchange event featuring the ultimate competition to decide the world's best cosplayers, bringing together contestants and fans from all over the planet to the host site in Nagoya. Tokyo's Shibuya and Harajuku districts have given rise to numerous fashion trends, and the totality of Japanese style can be grasped by examining the past and present of these districts and the uniquely Japanese subcultures they have spawned. Akira Yamaguchi, using traditional Japanese-style painting techniques, depicts samurai warriors and contemporary people together in landscapes where skyscrapers and Edo Period architecture intermingle. The artist, whose works have attracted widespread acclaim for their distinctive style, spoke about the spirit of subculture. As a teenager growing up in Sweden, artist and storyteller Asa Ekstrom fell in love with manga, going on to conceive, write and draw her own distinctive comics that have published in both her homeland and Japan. Seira Ryu grew up in China watching anime and dreamed of becoming a voice actress. Through hard work, superlative language skills and performing talent she has achieved that goal, working in both China and Japan and holding her own against native-born Japanese vocal actors. A foreigner's foray into a few of Japan's more offbeat cultural aspects. Here we introduce some trivia about various regions in Japan that are known as subculture hotbeds. Syuto Inc. produces metal molds used to make plastic models for popular anime known around the world. While the company originally manufactured only the molds, it has now created fresh interest by developing unique products such as plastic models that produce no waste and replicas of gyoza (dumplings). Pharmacist Eri Machii is on a mission to bring the traditional Japanese system of okigusuri medicine boxes to Tanzania. As president of the NPO AfriMedico, she wants to create a bridge between Japan and Africa through medicine, and promote health and happiness. Studded with small bays and inlets, the peninsula known as Ise-Shima--the venue for the upcoming 2016 G7 Summit in May--is a utopia for those seeking a glimpse of classical Japan, from the expansive environs of the sacred shrine of Ise Jingu to the bounty of the ocean.